Writing music best described as "Hope for the Hopeless," Sam Haiman has crafted a sound that is equally rooted in rock as it is in the 90s alt scene and modern country. Flavorful guitar hooks and catchy melodies sit atop a deep-pocket groove that moves the listener. Using strings, pianos, mandolins and even a melodica, Sam has created a cinematic sound that is as equally unique as it is reminiscent of artistry of an older time. 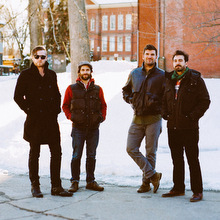 The seed for Drunken Logic was planted when frontman Jake Cassman walked away from an Ivy League education, determined to forge a “surprisingly cohesive blend of pop punk and emotionally-charged folk rock” (Sound of Boston). 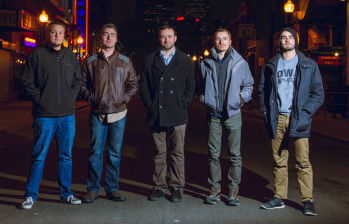 The band’s first incarnation formed at Berklee College of Music in 2012. Ever since, Drunken Logic has been brewing a powder keg of eclectic influences and potent, topical lyrics in their shoddy Boston apartments. Accolades and accomplishments quickly followed the release of their debut album Something New to Burn in 2013 — they rocked AT&T Park (home of the San Francisco Giants), were named RAW:Boston’s 2013 Musicians of the Year, opened for Ed Kowalcyzk (formerly of Live), and were selected to Berklee’s 2014 CMJ Showcase. Fresh off their first tour in the fall of 2014, the band recently released their second album, Long Day’s Journey to the Middle, “a complete and sprawling thought” that “is not only worth of repeat listens, it requires them” (Speak Into My Good Eye). Well, not this time. Yes, there will be a new full-length release from Jefferson Thomas in 2015, but which songs make it on there will be largely decided by the past year’s audiences. Thomas’ live shows are three or four hour servings of his volatile mix of indie rock and alt-country with a hangover, served up hot over a din of unruly guitars and blue-eyed-soul vocals. They're high energy, jammy, interactive affairs, with everything but the kitchen sink thrown in; solo acoustic segments, some choice cover tunes, maybe a short burst of stand-up comedy, and even on-the-spot songwriting. 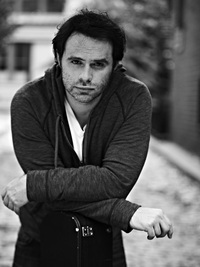 Zak, 2013 Jersey Acoustic Music Award Winner for Best Vocalist, has a traditional and gospel influenced alternative/americana sound that has come from years of listening to artists like Neil Young, The Rolling Stones, and Bruce Springsteen. 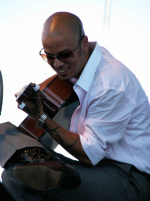 Zak has been on several successful east coast and international tours, filmed many music videos, and received coast to coast buzz and sales from his releases including the latest album, SIGNS OF LIFE. He was recently added to NJ.com’s list of 35 NJ bands you need to hear in 2015. Stay updated by joining Zak’s e-mail list from his website, liking his facebook page, or downloading his free smartphone app. In 1964, The Remains took Boston by surprise. The line of fans stretching from Kenmore Square to Fenway Park meant only one thing: It was “Remains Night” at The Rathskeller. By New Years Day 1965, The Remains were signed to a major recording deal, playing to packed venues throughout New England. By the end of the 65′ they had two regional hit singles on Epic Records and had performed for 14 million viewers on Ed Sullivan’s Christmas Show. In 1966, the group had two more regional hits, appeared on NBC TV’s Hulaballoo, and garnered a coveted spot as opening act on The Beatles’ U.S. tour. 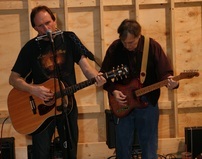 Enthusiastic response to The Remains’ performances were echoed by rave reviews in the local and national press. Following The Beatles tour, The Remains’ first and only album was released by Epic Records. By then, The Remains had disbanded. Now, over three decades later Barry Tashian, Vern Miller, Bill Briggs and Chip Damiani are back. With the release of their new albums, “The Remains”, and “Movin’ On,” and recent sold out performances in Europe and the U.S., The Remains (2010 inductees into the Boston Music Awards’ Hall of Fame) are once again taking the music scene by storm. 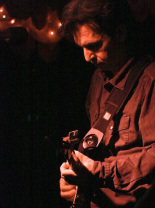 Composer and saxophonist Ben Shaw lends a particularly unique voice to his compositions and projects. 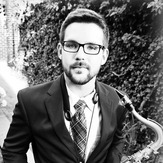 He earned his Bachelor’s Degree in Composition from the University Of Rhode Island, studying from such great musicians as Eric Hofbauer, Jared Sims, Joe Parillo, David Zinno, and Eliane Aberdam. Shaw has composed for small & large classical chamber ensembles, big band, various jazz ensembles, funk band, mixed groups, electro acoustic, as well as solo pieces for various instruments. His works range from jazz to classical, hip-hop to americana, and blues to avant-garde. 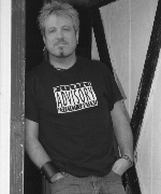 Composing for a variety of media, Shaw has done work in short film and animation scoring. Anne's Cordial plays a musical cocktail of folk, blues and retro songs with enchanting three-part vocal harmonies and unique instrumentation: guitar, harp and keyboard. Described as everything from "chamber folk" to "neo-classical," Anne's Cordial is a bright new voice in the New England acoustic scene with skillful arrangements of old and original songs. 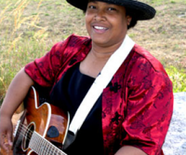 The beautiful vocal harmonies of Anne's Cordial are what most listeners first remark on, but each band member is a versatile musician as well. Natalie Markward, who arranges most of the music, alternately fingerpicks, slides, and solos on jazz guitar; E. Reed Ferenbaugh interchanges ethereal solos and bass accompaniments on harp; Eva Kendrick, who plays keyboard and writes most of the original songs, sets lyrics "alternately chilling and sweet," and Joe Auger on a scaled-down drum kit adds the perfect backdrop for any style. At an Anne's Cordial concert, you might hear bossas from the '60s, New Wave songs from the '80s and original folk-influenced songs that tell fable-like stories. 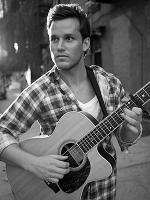 Chicago Vin is a Singer / Songwriter and veteran east coast side-man. Steeped in Blues, Rockabilly, & Punk, He sites the Blues Masters, The Million Dollar Quartet, Hank Williams, The Beatles, The Rolling Stones, The Ramones, & The New York Dolls / Heartbreakers as influences. In 1975, he began his career with The Luther Johnson Chicago Blues Band. 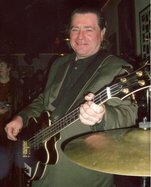 In the late 70’s, he formed The Delinquents, recording the EP, “It Is What It Ain’t”, before joining Jack Smith & The Rockabilly Planet recording two CDs on Ruckus & Flying Fish/Rounder Records, featuring legendary twang-master, Jerry Miller (J. Geils/ Ellen Jewel). 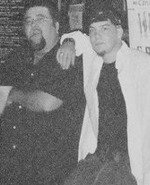 After Jack Smith retired from the music business in 1990, Chicago Vin went on to join Loaded Dice, the former backup band for Louisiana harmonica legend, Lazy Lester, recording their CD “Loaded Dice” for Schoolkids Records. In 1991 he met & recorded with drummer Jerry Nolan (NY Dolls / Heartbreakers) playing bass & guitar on what would prove to be Jerry’s last session. In 2001, he joined The Greg Allen Group in NYC, recording the CD, “Just for You” with Johnny Rao (David Johansen/ Helen Schneider) on guitar. He has also had the occasion to back such notable musicians as Sonny Burgess & Paul Burlison, James Montgomery, Lazy Lester, Delta Bluesman CeDell Davis, Hubert Sumlin, & Sleepy La Beef. 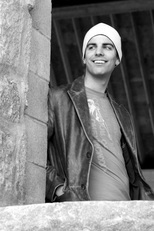 In 2003, Chicago Vin began studying acting at The Perishable Theater Arts School in Providence RI. He is featured in the Showtime series, Brotherhood, Ridley Scott's Tell-Tale, & the ABC TV series, Body of Proof, starring Dana Delany & Jeri Ryan. 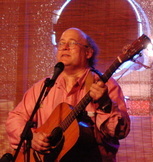 Rick Drost started singing with a Kingston Trio-style group in high school, and continued in a small folk group in college, the glee club and an opera chorus as well. He started writing and singing around coffeehouses in DC and New England 70s, finally settling in Cambridge MA where he started playing with the folk-rock group Parts and Labor. In the late 90s, Rick took up choral singing again, then Parts and Labor regrouped to record “Twelve Dared Dreams”. Rediscovering songwriting with help from the (national!) 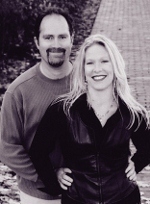 live music community, Rick hasnow found that living so that music comes out is its own reward. 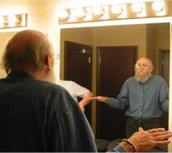 He performs at least once a week, wherever he goes, and has enjoyed stints with great instructors and students at Song School in Colorado, SAMW and other workshops. His inspirations include Joni Mitchell, Dylan, Dave Carter, Eva Cassidy, Brahms, Mozart, and Julia Child. Jan Luby is known for her engaging, often riveting stage-presence as well as her voice full of passion, range and power. The readers of Rhode Island’s Motif Magazine thought so. They chose Jan as Female Vocalist of 2011. an's songs are evocative, lyrical and infectious personal stories. Her approach to songwriting ranges from socially relevant to irreverent, heartbreaking to humorous. As a solo performer Jan Luby is equally at home on a festival-stage in front of thousands as she is in more intimate settings, and has played coffeehouses, clubs, festivals and street-corners from Sweden to Greece and from New York to the Pacific Northwest. Sarah Ann McGinnis is a musician, actor and dancer living in Rhode Island. She currently runs Wingmaker Entertainment (website), a small company providing high quality, elegant entertainment for parties and other events. She has studied harp since high school in Iowa and continues her studies with Ms. Mary Jane Rupert of Cambridge, MA and plays at weddings and events in the local area. She is also a student of hula and has studied with Halau I Ka Pono and Hula Workshop of Southern New England; she currently runs a Polynesian dance troupe, The Island Paradise Dancers, the performs at lua'u and parties all over New England. She is also a member of the JMK Frindge Dancers who perform regularly throughout Rhode Island, including their latest Valentine's production at the Hi-Hat. She is also a proud member of the Screen Actor's Guild and has worked on multiple local productions. Red Ed and the Undead is the pop/rock project of composer/front man Ed Able, who is delighted to enlist the aid of his friends and peers as the Undead. The songs of Red Ed and the Undead are informed by an enthusiastic obsession with the Beatles, the Smithereens, Colin Hay (Men At Work), The Psychadelic Furs, and many other artists. Source material includes preoccupations with science fiction, the color green, technology, bachelorhood, hated media personalities and of course ex-girlfriends. One ex in particular who's become a good friend proved quite inspiring. Mark Taber first became fascinated with music as a child when his two aunts would come over and sing and play standards on the family piano. He started out on classical but in his teens he soon found the jazz piano of such heroes as Erroll Garner and Theolonius Monk, He also found the blues: Big Joe Turner, Muddy Waters, Otis Span. Circa 1973 Mark was banging keys with the legendary East Providence sons, The Tombstone Blues Band. Tombstone included Ken Lyon and sometime guitarist Duke Robillard before he became the "Duke". Columbia recoding artists Tombstone toured and opened for Janis Joplin, Mott TheHoople and early Queen. Mark can play everything from classical to New Orleans barrelhouse blues to his own unique piano excursions through Dylan, Pink Floyd to Bowie. The Duende Project formerly Duende") is the poetry and music project of Tony Brown, veteran performance poet, and Steve Lanning-Cafaro, AKA Faro, electric bass and Nylon string guitar. They have released two CD/chapbook sets, "Jim's Fall" and "americanized" on their own Loyal Weasel Productions, and perform in the New England and Eastern Seaboard regions regularly. 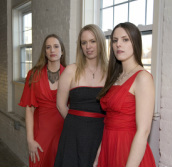 Melissa Guillet has performed nationally and in Canada. Her work has appeared in many journals and anthologies, including Bloodroot Literary Magazine (Pushcart Nominee), Caduceus, The Cortland Review, Cyclamen & Sword, Dos Passos Review, Lalitamba, Language and Culture, Lavanderia, Muse, The Oklahoma Review, Sangam, Two Hawks Quarterly, Women. Period., and several chapbooks. She is founder and editor of Sacred Fools Press. 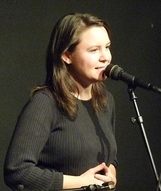 Sarah Sapienza is a performance poet living in Worcester, MA. Most recently the host for the Seattle Slam, Sarah has also acted as slam mistress for the state of Vermont. She believes in the redemptive power of poetry, is dairy free and thinks that shirt looks really good on you. Yunus Quddus.... father took him to jazz poetry clubs to expose him to poetry. In the sixth grade he wrote his first poem. Bored with conventional story telling and books he read in grade school, he would skim through, take the sentences, and try to make them rhyme. His ability to take words and write completely different stories, showed his vast literary talents. At the age of 19, Yunus went public with his poetry for the first time at Brave New World in Philadelphia. He has set a life long goal to be heard globally. He is also founder and President of Johnson & Wales Underground Poetry Club, which brings together other artistic minds to share their literary talents. Yunus has appeared on Brown University Radio and WDAJ am The Drive with Angelo Marinoch. He has set a goal to create music that can bring all ethnic cultures and background under one umbrella, without disrespecting oneself or belittling women. "Pick up a dictionary like Malcolm X and tell your story. Write clean pure music and words that still tell true experiences of love, spirituality, and poetic testimonies on life. He has taught poetry and acting at the Met Technical Center, Johnson & Wales Poetry Club and CCRI In 2005 he opened for Philadelphia's legendary poet Ursula Rucker and HBO Def Jam Iyeoka Ivie Okoawo at Sound Session. Yunus finished second place in poetry slams at the Lizard Lounge, Boston and AS220 in Providence. Yunus has released three tracks on a poetry mix CD entitled Know Words-Volume I with the Quiet Nation Label, and completed a CD entitled Lost thoughts of Poetry. He is working on a chapbook entitled Lost Poets, a book of poems from the album and poems he has memorized over the past 15 years. This is only the beginning for a student/poet/teacher and counselor who puts passion into the art of poetry.